Selling stuff that are not being used. Yaqi Timber Wolf 26mm brush. Good backbone and doesn’t splay much. 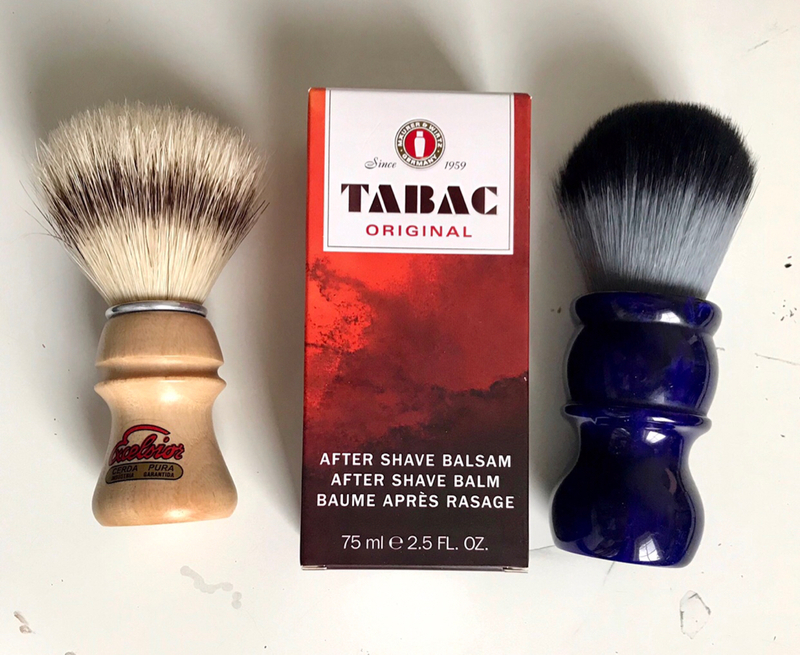 Tabac after shave balm brand new. Selling for $15 shipped US/Canada. Price is to cover shipping. I washed the brushes so will be shipping them in a few days to let them fully dry. This is a great deal. I like both of those brushes. Nice job man.